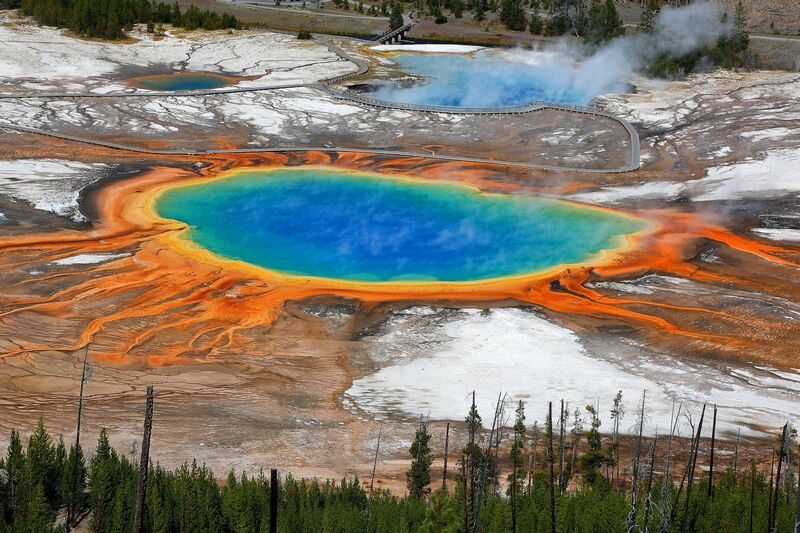 This is an Aerial View of Grand Prismatic Spring, Yellowstone National Park. I had a chance meeting with another photographer early in the day who told me where there was a steep and slippery trail that led to an excellent viewpoint where you could look down on the pool. It certainly led up to his description but was well worth the effort especially as the sun came out to reward my efforts and it certainly made those colours pop!